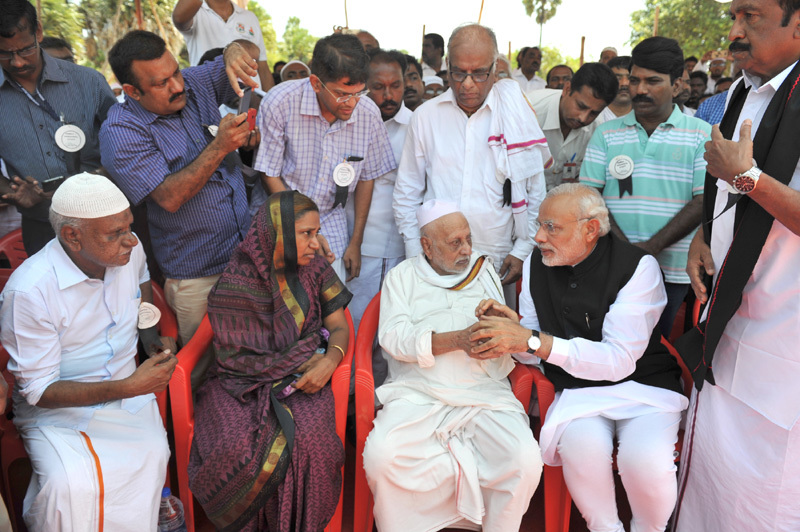 The Prime Minister, Shri Narendra Modi pays homage to the former President of India, Dr. A.P.J. 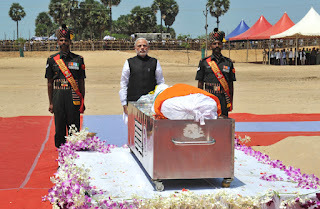 Abdul Kalam, at burial site, Rameswaram, in Tamil Nadu on July 30, 2015. 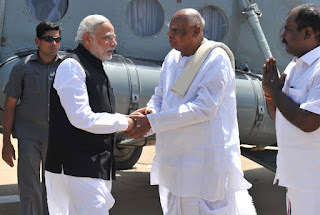 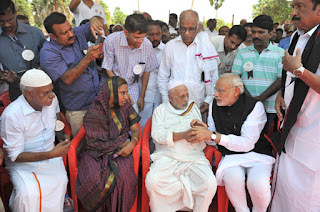 The Prime Minister, Shri Narendra Modi being received by the Governor of Tamil Nadu, Dr. K. Rosaiah, on his arrival at Mandapam camp helipad, in Tamil Nadu on July 30, 2015.